i've got the 179cc model. currently listed for 499. pretty sure i got it for like 400 plus tax. they have a 123cc model for 354. i'd pay the extra for the HP. Thanks. Good to get a gauge on prices/models. It's getting pretty crazy out there now. The T is completely shut down and it is illegal to drive. Non-essential personnel driving face a $500 fine. the ex swung by the house? Why are they calling this storm NEMO? The name Nemo isn't meant to refer to "Finding Nemo," Bryan Norcross, a TWC meteorologist who helped conceive the storm-naming last year, told the New York Times. 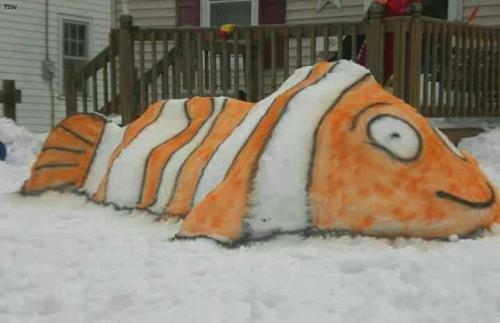 Nemo is Latin for "no one" or "no man." It also refers to Captain Nemo, the Jules Verne character from "Twenty Thousand Leagues Under the Sea." "Captain Nemo was a pretty tough, fierce guy," Norcross said. I may take a walk to the local bar later. They are staying open. Pack a snack, and don't forget your mittens. And/Or a year in prison. Was pretty funny watching the MEMA press conference this afternoon when the Seceratary of Douchebaggery or whatever department got to the podium to explain the driving ban and then a reporter asks him about the penalty and he mentions a year in prison and Governor TaxPrick has to do spin control afterwards. Wind is getting pretty stong here on the coast...received the call from town emergency mgmt advising self evacuation immediate coast and areas that flood (house is less than 1/2 mile from Humarock beach, on the Marshfield side of the river, no coastal flood threat, but I do have the possibility of flooding under the house in the crawl space from ground/marsh water rising...hopefully power stays on in case the pump needs to run). Makes you sorry you moved to the South Shore from the North Shore, eh Poncier? Not like Winthrop will be that much better. Not a bad 5 minute walk. I just cleared off my car for the second time and 5 minutes later it was completely covered again. Might as well just wait till tomorrow and clear it the one time at this point. Other than the occasional 60-feet-of-seawall-washed-away and 8 feet of seawater in Mr. Unlost's family home basement, the giant sewage treatment plant, deafening airport noise and neverending work on the bridge that is one of the two access points into this merry little peninsula, what's not to love? You forgot to mention the cucurachas dancing on the plates at D'Parma's. I like to get a jump on it so its a lil easier in the morning. Power just went out and came right back on. Taxprick, that's great. Hes such a douche. Hang in there Ponc. Hoping the flooding stays at a minimum and the most you'll have to clean up is snow. I already have about 5 inches on my porch right now. And it's just getting started. Damn...power out and on again. This snow is going to weigh down the power lines. Really heavy. Hmmm. Just got hit by a blast from the northeast and the house rattled. Just shoveled the stairs. That's more shoveling than I've done in years. The house was stronger before the fire. Two beers in... it's all good.